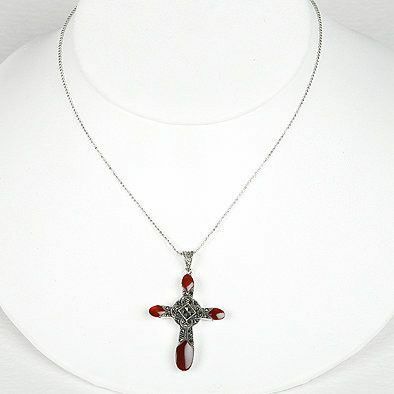 This beautiful cross pendant features four deep red carnelian stones. 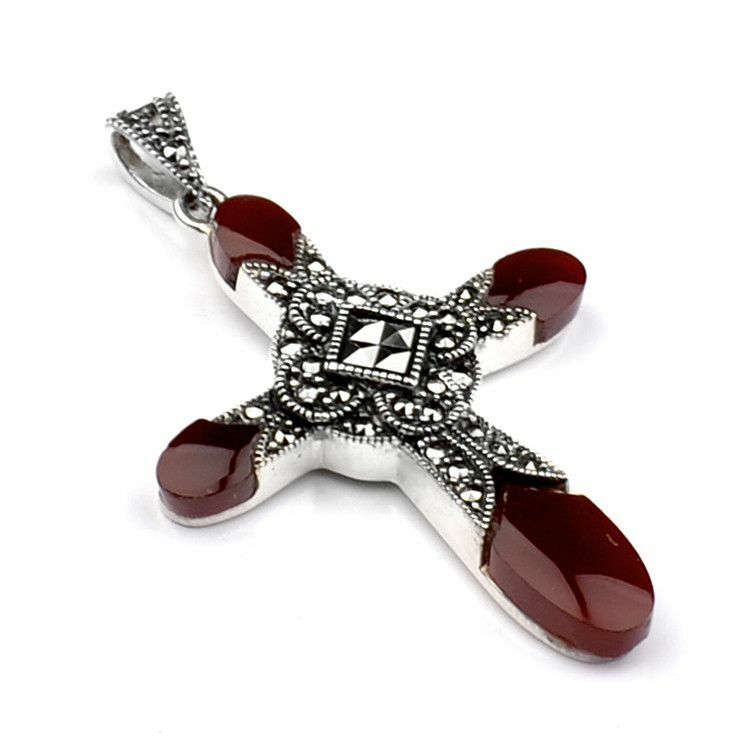 The center of the cross features an elegant array of marcasite crystals set in an elaborate design. 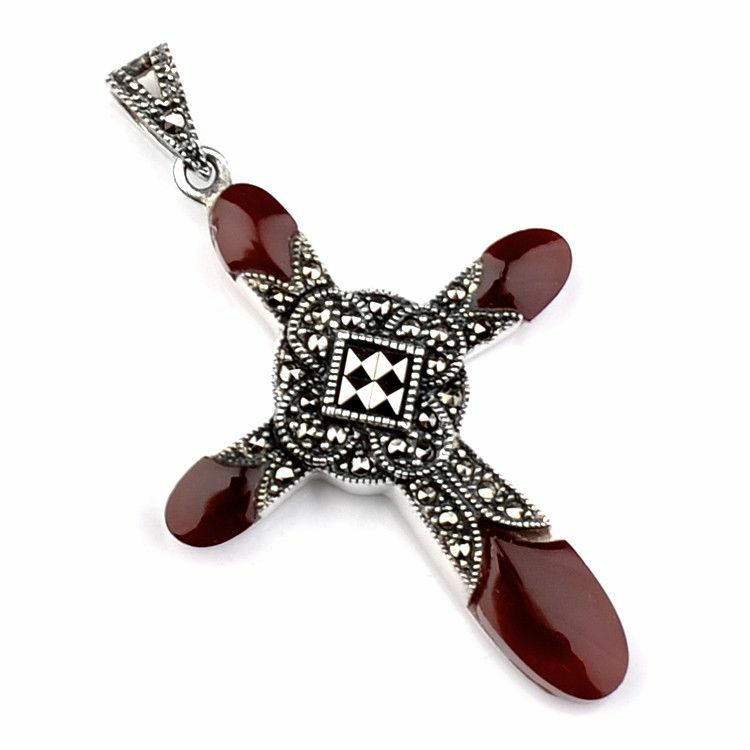 The bail of this pendant also features marcasite crystals. 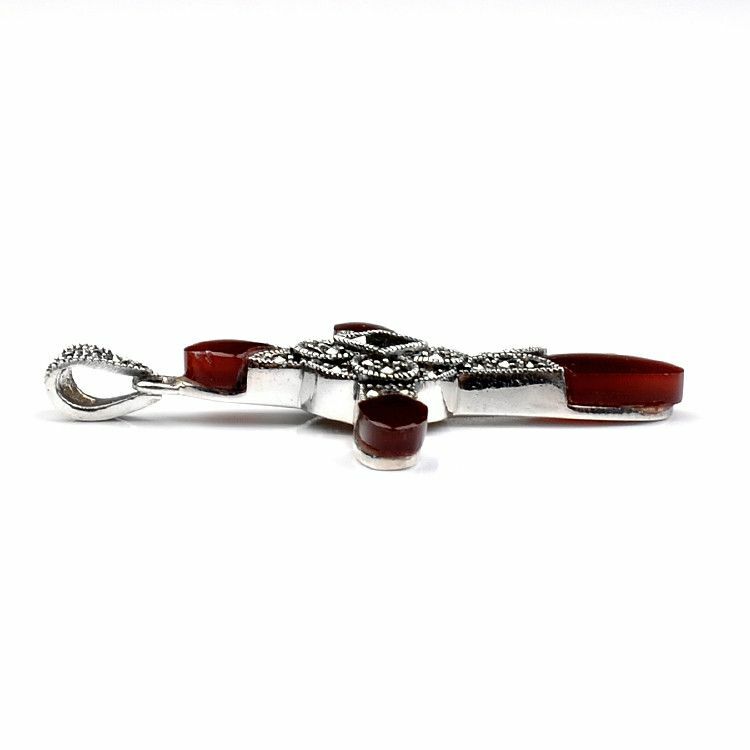 The cross's back is made up of genuine .925 sterling silver. This would make a great gift for any occasion.